The Resolution of the President of the Republic of Uzbekistan No. PP-3550 adopted on 20 February 2018 introduces a new procedure for expert examination of pre-design, design, tender documentation and contracts, and covers all investment and infrastructural projects. Regulation on the procedure of expert examination and registration of contracts. The main change is the introduction of a system of complex expert examination of pre-design documentation and assignment of these functions to the Center for Complex Expert Examination of Projects and Import Contracts under the National Agency for Project Management under the President of the Republic of Uzbekistan (hereinafter – Center). Thus, the Center takes in the functions of a range of organs and plays the role of a “one-stop shop” in its own way. In addition, the resolution introduces a new term, “Terms of Reference,” on the basis of which pre-design and design documentation is developed. This being said, it is important to note that, unlike the previous procedure, which used to refer to an unidentified term of “development task,” the new regulation prescribes that the initiator should be guided by the typical structure of PFS/PTEC during development of the Terms of Reference. This allows for the creation of the so-called “draft” of PFS/PTEC and the start of negotiating financial questions in parallel with the development of PFS/PTEC. Moreover, the resolution provides for the possibility to implement projects without PFS/PTEC in case of a one-stage procedure or the participation of international financial institutions / foreign governmental financial organizations (IFI/FGFO). Instead, a financial and economic report (FER), which is defined as a preliminary document, prepared for projects that have preliminary calculations, analysis and evaluation of justification of choice of rational location of the project, technical, financial and economic decisions of project implementation, its estimated cost, with consideration of possible sources of financing, should be developed and examined. In case of financing by IFI/FGFO, the report should also be agreed with their pre-evaluation groups and missions. It is also important to note that state and corporate procurements have been unified. This is why, whenever talking about state procurement, one should understand the purchase of goods (works, services) both by budgetary and corporate customers. Undoubtedly, this regulation will have a huge impact on the implementation of investment and infrastructural projects. However, its efficiency may be assessed only after implementation of the measures, stipulated in PP-3550, and formation of a professional team in the Center. Dentons is the largest law firm in the world. 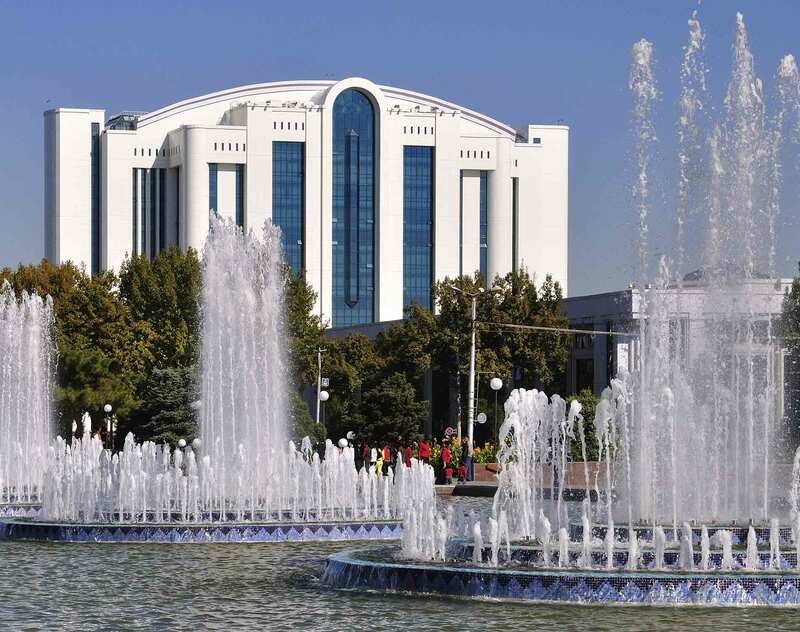 Our lawyers in Tashkent have a rich experience of legal support for the construction of multiple large-scale infrastructure projects in Uzbekistan with the total amount of projects exceeding US$3 billion.